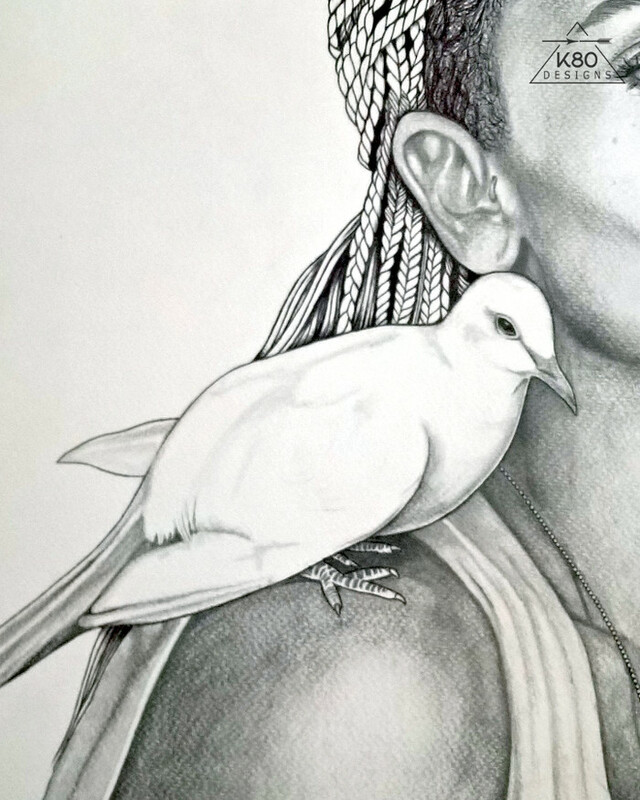 "Birds and Girls" are a recurring them for me. 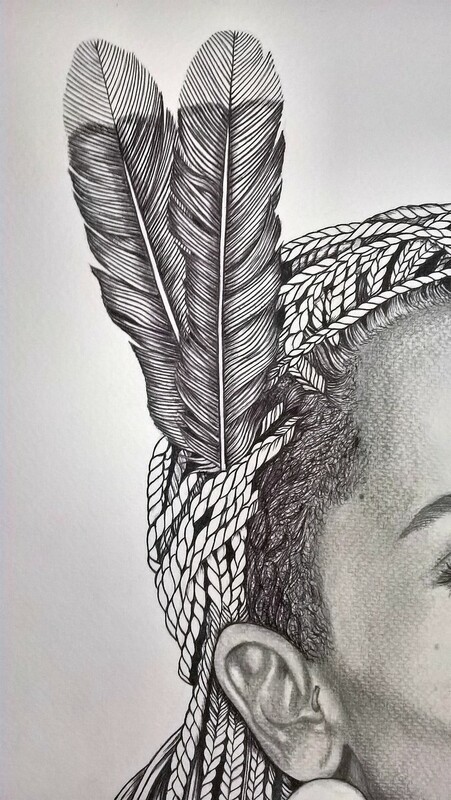 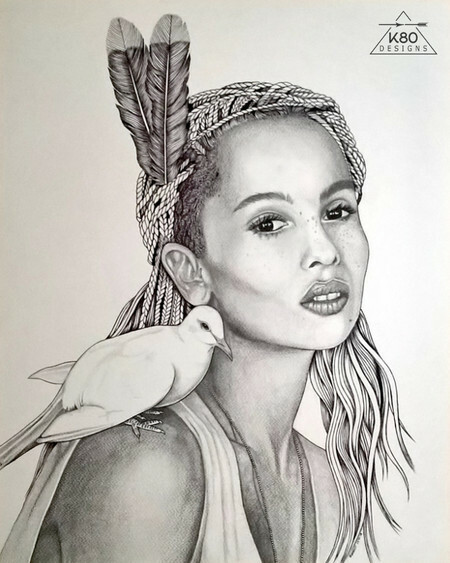 In this portrait of a beautiful woman, 2 rare Huia feathers in her hair symbolise the loss of something precious, while the dove indicates innocence. 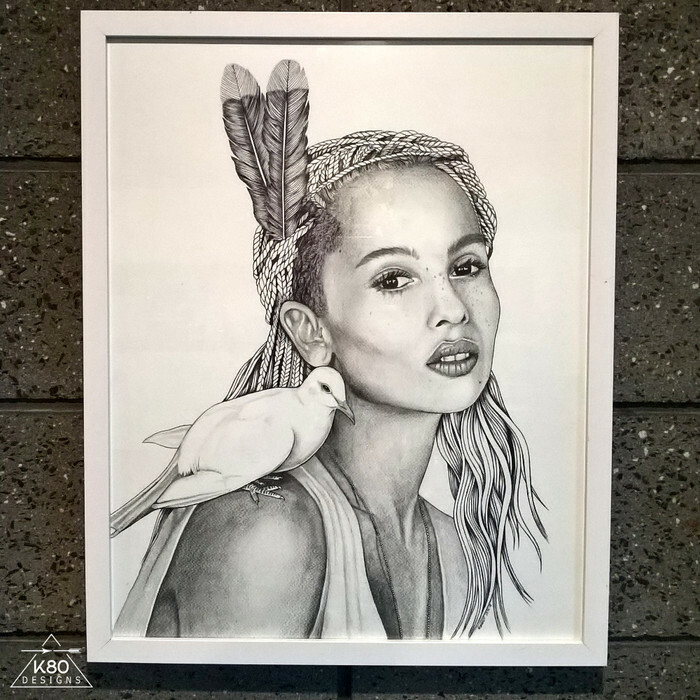 Graphite and black pen on Daler Rowney heavy watercolour paper.